For other branches of the SSS in the Philippines and abroad, just go to our sidebar categories or use our database search box. 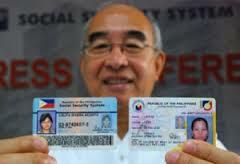 Alternately, you can make an online inquiry at the main office website at www.sss.gov.ph or subscribe to us using our subscription form below this post for more updates and latest news regarding the Social Security System (SSS) in the Philippines. This entry was posted in Branches, Corporate, Hotline and tagged alabang branch, how to find, muntinlupa branch, office location, online inquiry, sss hotline, sss website, where to find. Bookmark the permalink.